Beer, burgers, brats, books, and a bouncy castle! ForeWord Reviews Book of the Year Award Winner! 2013 National Outdoor Book Award Winner! 2013 Benjamin Franklin Award Winner! This is a very professional and impressive book. 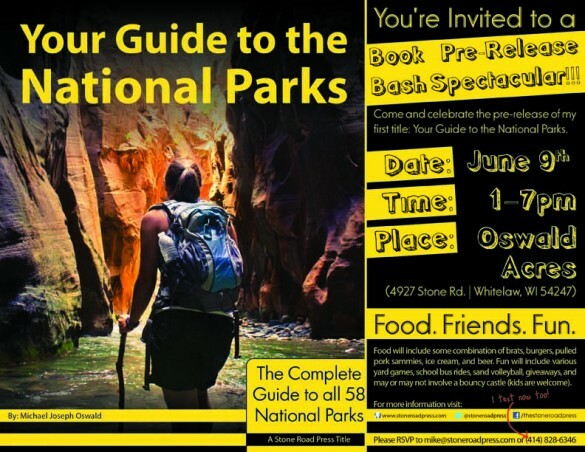 Your Guide to the National Parks: The complete Guide to All 58 National Parks is quite frankly, amazing. 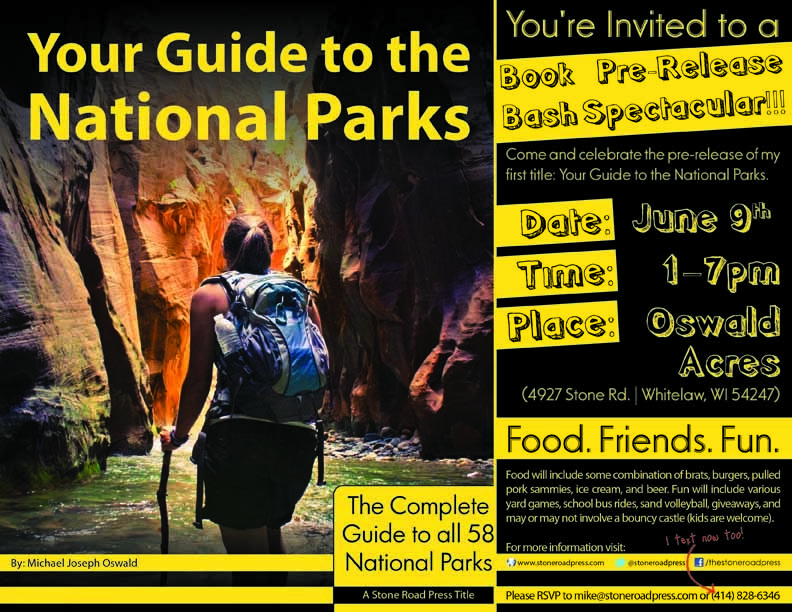 This all inclusive edition is all you need to explore all the 58 National Parks! Til now, the best available book was National Geographic Society’s wonderful edition, but Mr. Oswald takes it so many steps farther. This gem of a travel guide is one of the most comprehensive and well-crafted books of its genre on the market. This book is fantastic! 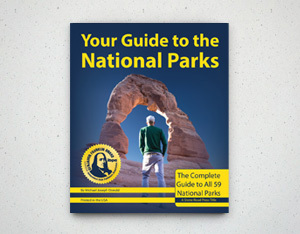 … Anyone wishing to explore our national parks should use this book to help plan their adventures. We are taking our 11-year-old grandson to Grand Teton and Yellowstone, so this guide was timely. Our grandson is planning the trip using the guide, and it is perfect. I wanted to know the length and difficulty of the hiking trails, and they are all in there. The “Don’t miss” tab on the simple maps are helpful to someone who has limited knowledge of the parks and limited time. The “thumbs up” on certain of the hiking trails saves us a lot of time. The book is simple to follow, easy to refer to while traveling, and thorough. Congratulations to the author!!! Comprehensive, Easy to use. Perfect!! The $20 for the book (or even less to download the Kindle version of each park individually) is the best money you will spend on your entire trip. We LOVE, LOVE, LOVE your book!